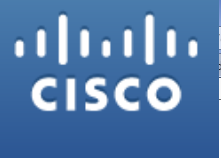 When Cisco Systems Inc (NASDAQ:CSCO) released its earnings report for the quarter gone by on Wednesday, 12th October, 2014, the figures made it apparent that the company’s performance had surpassed expectations. An EPS of 54 cents as against 53 cents that occurred the previous year indicated that revenue had risen too, albeit just by 1% from last year. However, this was soon followed by the disappointing news that growth in the next quarter was not expected to cross the 7% mark, meaning it would fall short of the projected 8%. Amidst the ups’ and downs, another bit of news that filtered out of the company pertained to stepping down of Frank Calderoni, CFO and Executive VP of the company. Coming into effect from 1st January, 2015, this decision has triggered a positive reaction from Wall Street especially since he is likely to be replaced by someone within the company namely Kelly A Kramer. She has so far played the role of Senior VP of technology and operation finance division at Cisco Systems Inc (NASDAQ:CSCO) and is expected to turn around the company’s fortune. Analysts regard this down trend to be temporary and are of the opinion that Cisco Systems Inc (NASDAQ:CSCO) is going in the right direction. Therefore, they feel that it is just a matter of time before the stock rallies around subsequent to having laid off 8% of its work force.